Fraser's Hill (or Bukit Fraser) is named after Scottish trader, Louis James Fraser, who was a tin prospector and periodically used this area as a trading post to buy tin from the Chinese miners at the upper reach of Sungai Sempam back in the 1890's. Fraser was known to have used a mule train to ascent the hill and trade in tin ore until the fateful day that he mysteriously disappeared in the dense forested hills. 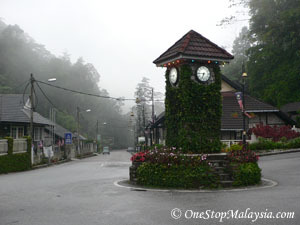 The development of Fraser’s Hill as a tourist destination started in 1917 by the British. Since then, various sustainable development has been carried out by the Pahang state and Malaysian government. 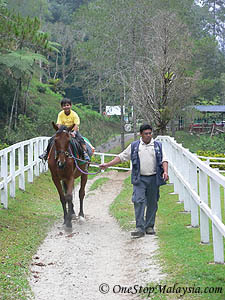 This is a great getaway from the hustle and bustle of the city, while enjoying the cool and fresh air it offers. Access to Fraser’s Hill is difficult unless you have your own transport. Turn off at the Bentong junction. Head towards Teranum. Turn left at Teranum. Head towards Raub, and then to Teranum. Previously, traffic was regulated at “The Gap”, a short stretch of winding roads between the foot of the hill and Fraser’s Hill. Now, there is a separate route for traffic going up and down. Hence, the hill is accessible all day long. Update on 5th September 2008: I have been informed that the road going up has been closed due to landslide. Hence traffic to and from the hill will be regulated as before. Odd hours for going up, even hours for going down. 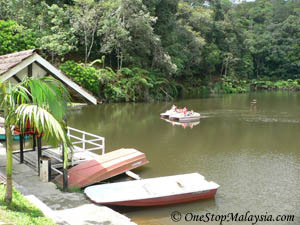 Fraser’s Hill is famous for bird watching activities. It has over 270 species of local and migratory birds. Every year around the month of June and July, it hosts the annual Fraser’s Hill International Bird Race race where competitors race against time to spot as many bird species at possible. It is hosted by the Fraser’s Hill Development Coporation in conjunction with WWF-Malaysia and the Malaysian Nature Society (MNS). There are numerous routes of various distance and difficulty. 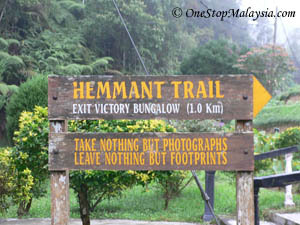 Hemmant Trail (1000m in length): Named after Frank Hemnant, the architect of the golf course, it is relatively flat and easy. 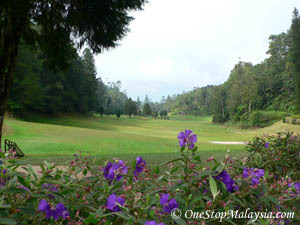 It runs parallel to the golf course and offers a spectacular view of it. It starts from the mosque in town and ends at Victory bungalow. Bishop Trail (1500m): Narrow and undulating, with several obstacles. Created by C.J. Ferguson, Reverend Bishop of Singapore in the early 1900s. Begins near the Bishop House and ends near Muar cottage. Abu Suradi Trail (500m): wide with minimal obstacles. Opened up by Abu bin Suradi, the first person to be given a mining lease at Pamah Lebar (the present golf-course). This path connects from the area near the current Maybank lodge and his tin-mine then. Pine Tree tail (5000m): Steep and challenging. Starts near the Admiralty bungalow, a few kilometers west of town. It is a steep climb to the peak of Pine Tree Hill. A guide is recommended. 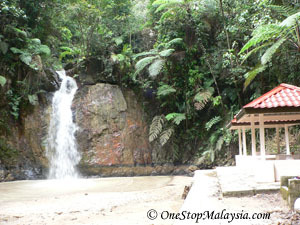 Rompin Trail (500m): Easy. Named after the nearby Rompin bungalow, it was opened for the residence of Taman Sungai Hijau for shorter access to town. Kindersley Trail (750m): Easy. It is between the Methodist Bungalow and the Raub bungalow. Named after Richard C.M. Kindersely for his efforts in developing Fraser’s Hill. Maxwell Trail (1800m): Narrow trail with some obstacles. Begins near the Tamil School and ends near Whittington bungalow (now Guthrie bungalow). Created by labourers at the end of 1919 as a shorter route to Whittington bungalow, which was one of the few places which had a radio. Named after Sir George Maxwell, Chief Secreatary of the Federated Malay States from 1920 to 1926. About 5km North-West of town along Jln Air Terjun. It contains a swimming pool fed by water from the falls. 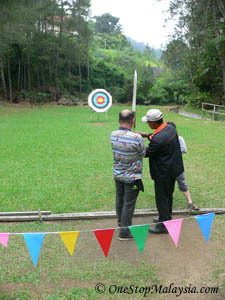 The Paddock: Archery (RM8 for 10 arrows), Horse Riding (RM4 per adult for one round) and Woodball (RM10 per person, 9 gates). Flower Nursery: Located beside Allan’s Water.